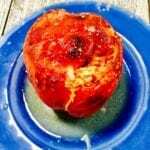 This recipe for Easy Stuffed Peppers with rice, cheese and a spicy thyme tomato sauce makes this delicious dish a meal in itself. I love these Easy Stuffed Peppers for lots of reasons. They are so simple to make and yet the flavor is hugely delicious. And they’re a perfect dish to serve on a “Meatless Monday”. What’s Meatless Monday? Well, it’s actually a movement founded by Sid Lerner in 2003 in association with the Johns Hopkins Bloomberg School of Public Health. 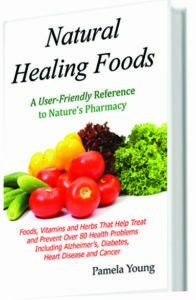 They believe that skipping meat one day a week is really good for you – not only for your overall health, but for your wallet as well. This movement now has gone global. In May, 2009 Ghent Belgium became the first non-US city to go meatless. They have Meatless Thursdays. And soon after Paul McCartney introduced Meat-Free Monday’s in the United Kingdom. 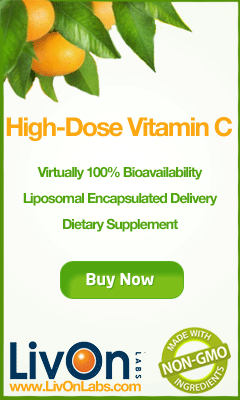 It’s now active in over 40 countries and it continues to grow. So, we here at Two Cups of Health are doing our part to contribute. These Easy Stuffed Peppers fit Meatless Mondays perfectly. Super healthy, totally delicious and includes protein from the cheese, as well as grains and veggies. A full meal deal. I actually made these years ago, before the movement began, just as an experiment. When I was growing up my Mom used to serve Stuffed Peppers with ground beef and onions. It sounded great for dinner, but I had no ground beef. I did have some beautiful red peppers though so I substituted rice and cheddar cheese. Then added a spicy tomato sauce. I was hooked, and I’ve made them often through the years. Tomato sauce: Huge amounts of Vitamins A, B, C and K.
It’s embarrassingly easy to put this recipe together. Just trim the top off the peppers and remove the seeds inside. Then place the hollowed out peppers shells in a baking dish. Next combine the tomato sauce, thyme and Worcestershire sauce in a small bowl. Then add cooked rice to a second bowl and add half of the tomato mixture to it along with grated cheddar cheese. Stir to combine. Add the rice mixture to the pepper shells. 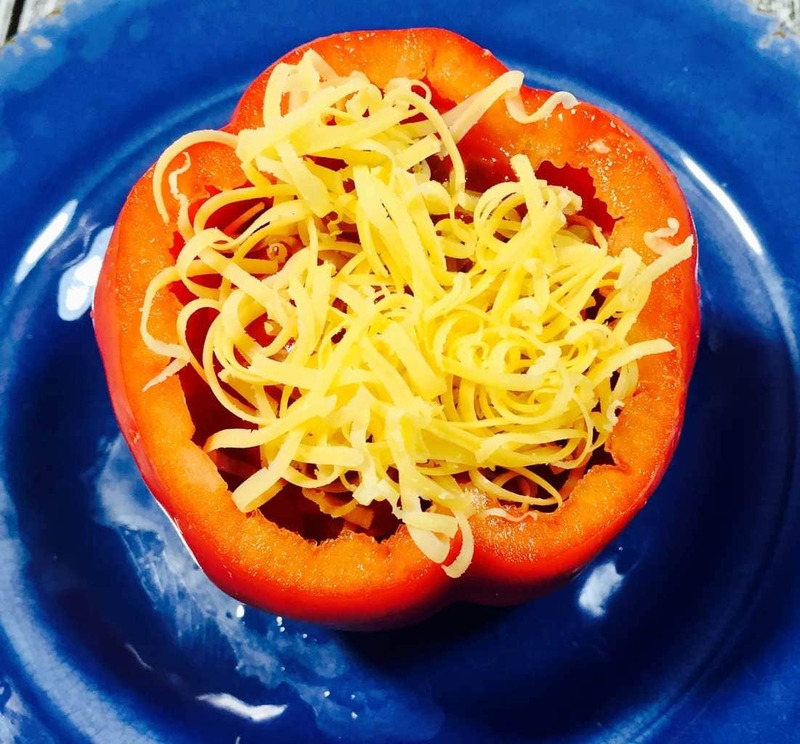 Top each stuffed pepper with the remaining tomato sauce mixture and sprinkle additional grated cheddar cheese over the top. Bake 55 minutes until peppers are tender. Serve and enjoy your delicious Meatless Monday! 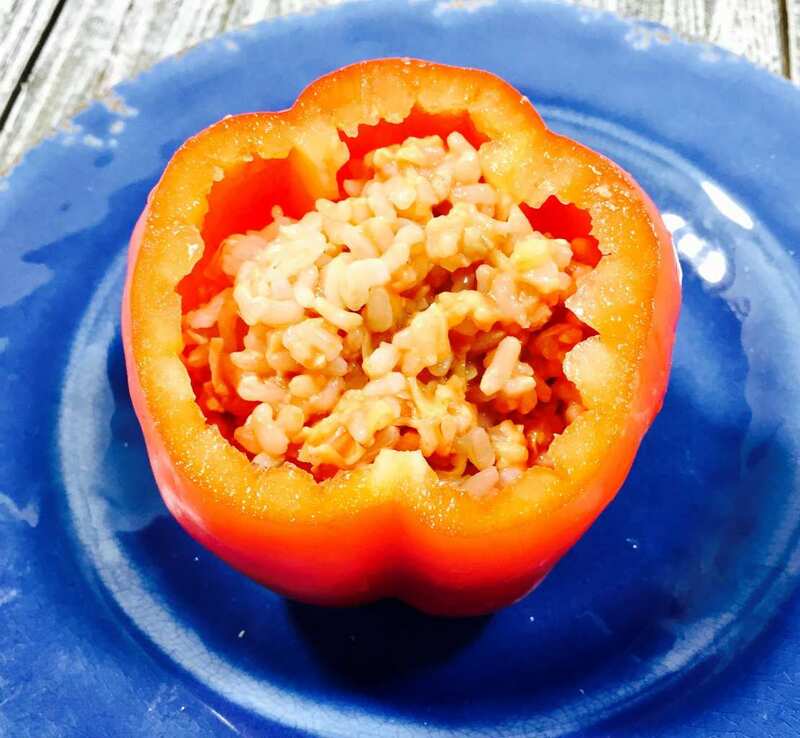 These Easy Stuffed Peppers are filled with rice, cheese and a spicy thyme tomato sauce that makes this delicious dish a meal in itself. Add water to pot and bring to a boil over high heat. Add salt and rice and reduce heat to medium low. Simmer for 18 minutes until water is absorbed. Mix tomato sauce, thyme and Worcestershire sauce together in a small bowl. Trim tops of peppers and remove seeds inside. Slightly trim pepper bottoms to stand so they can stand up straight. Add pepper shells to lightly oiled baking dish. When rice is cooked, add to medium bowl. Add half of the tomato sauce mixture to the rice along with 1/2 cup of the grated Cheddar cheese. 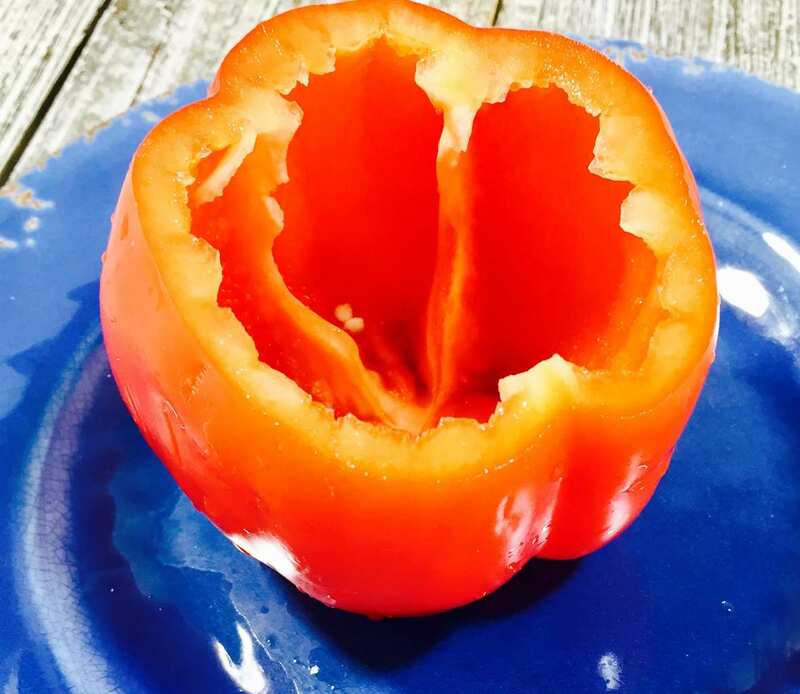 Combine well and add rice mixture to the hollowed out peppers. 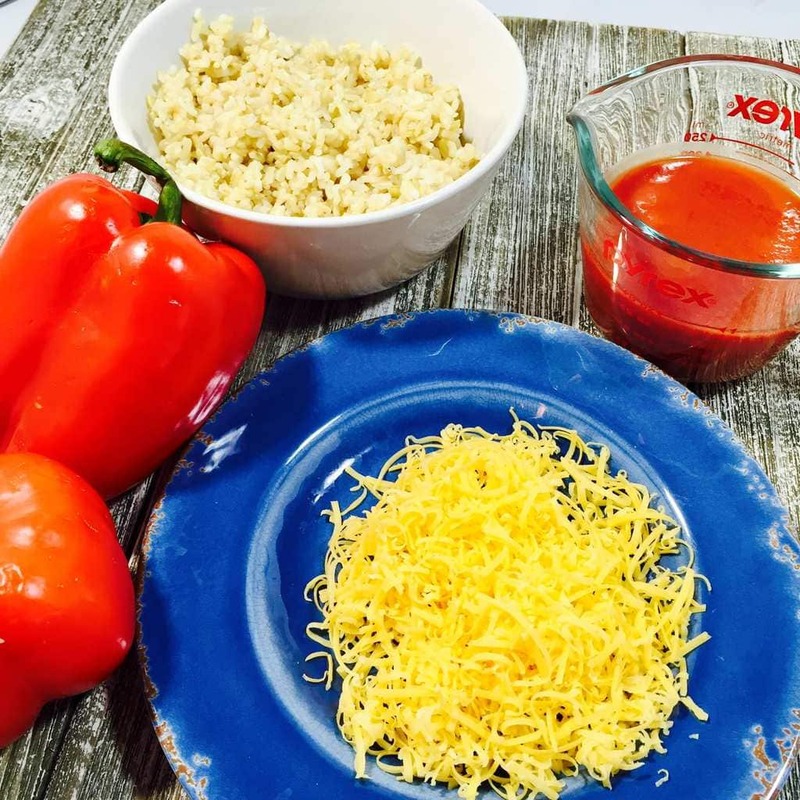 Top each pepper with remaining tomato sauce mixture and sprinkle each with remaining 1/4 cup of shredded cheese. If you liked this recipe, please leave a comment below and be sure and pin us on Pinterest!